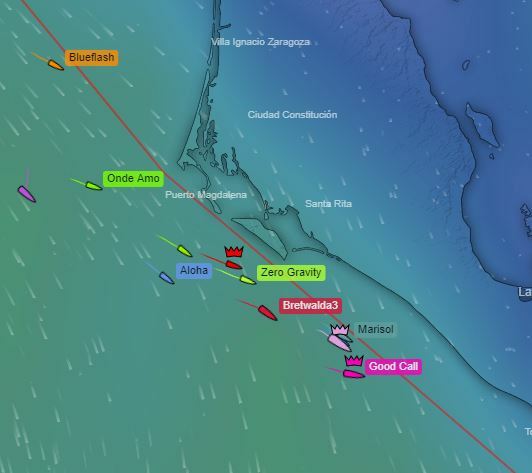 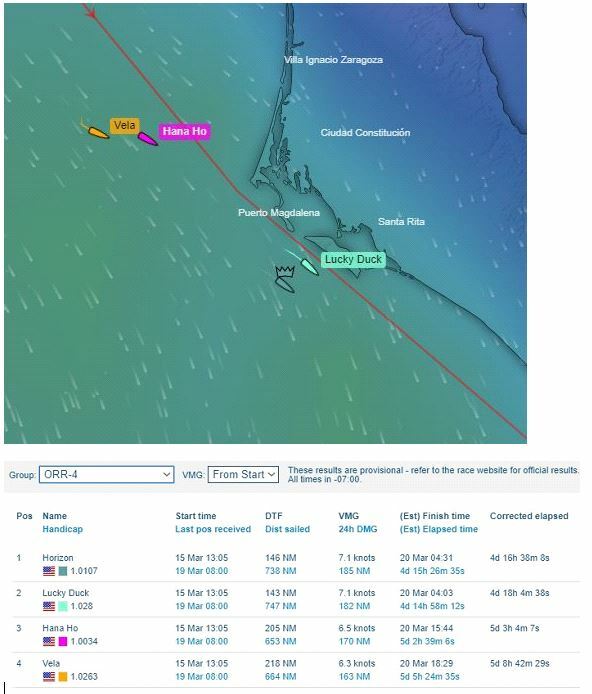 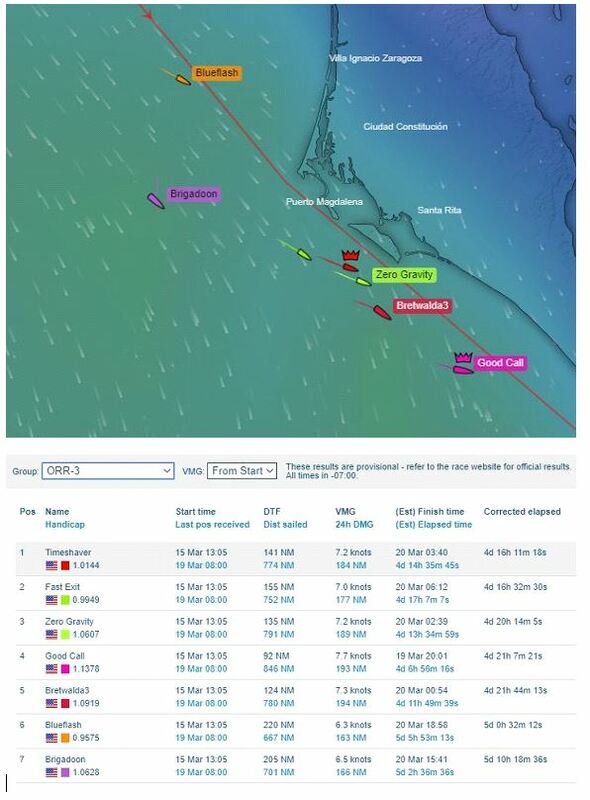 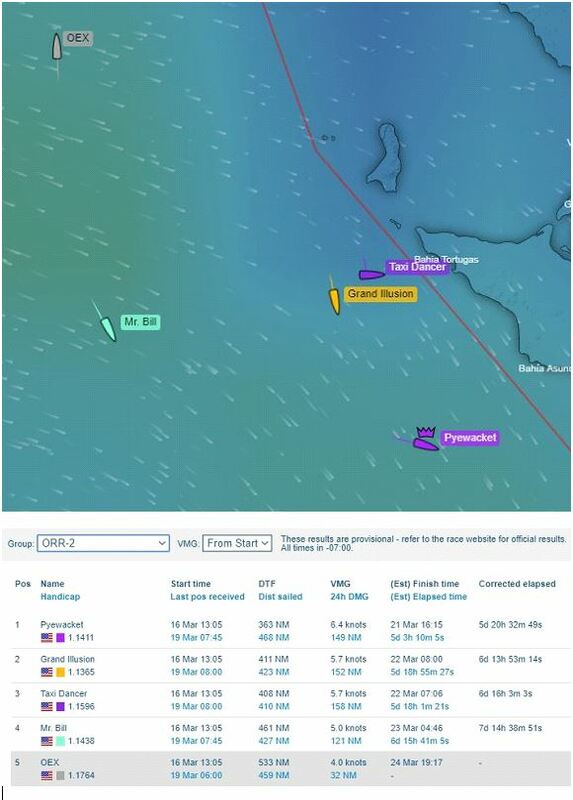 all in good position for fiesta in Cabo this weekend while Saturday's fleets are struggling mightily. 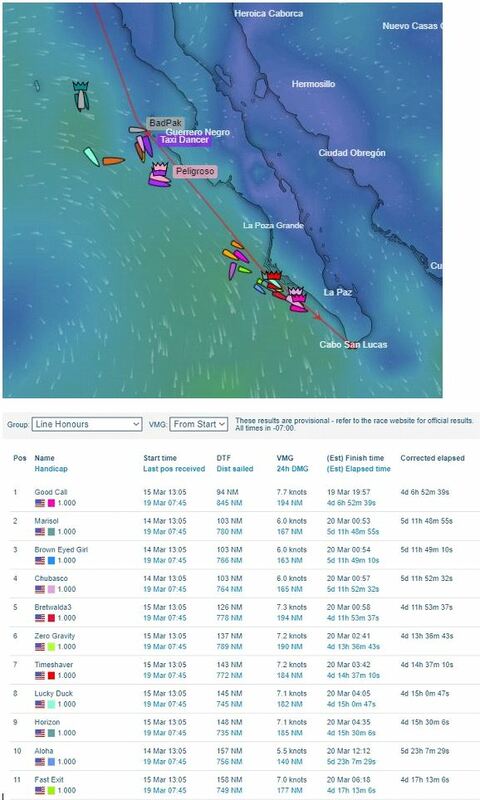 in the PAC52 Class, Tom's attitude remains consistent "I sail to have fun, and if we don't win it's not the end of the world" He said in recent interview. 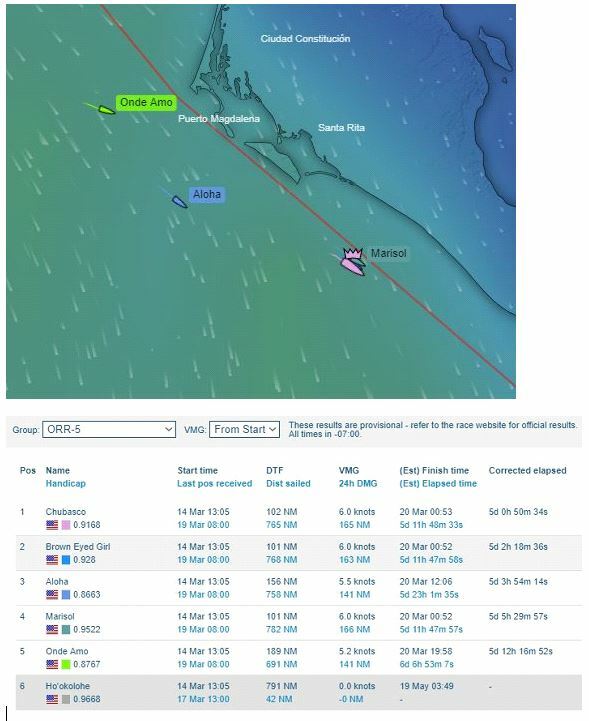 4th place boat is actually the Line Honors leader in the form of Tom Barker's Swan 60FD Good Call! 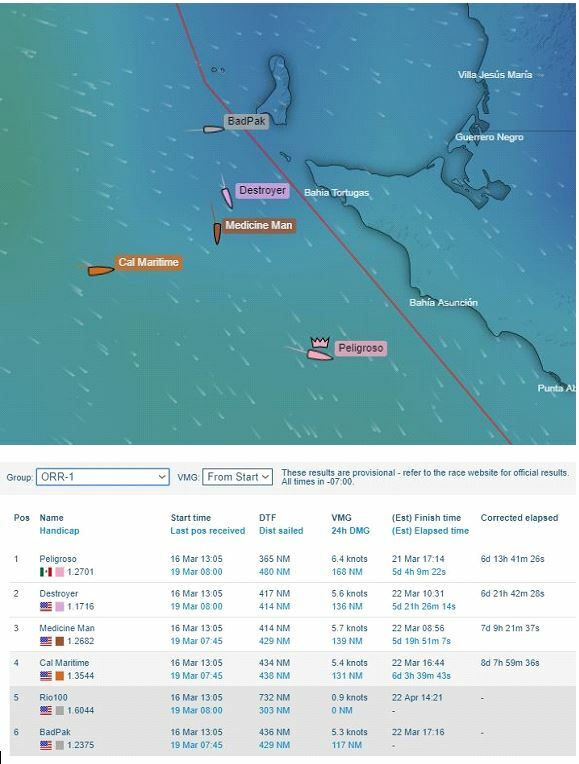 Seth Hall's J-124 Marisol has been one for the ages... All with 94 nm to paydirt and doing 6.0 knots!